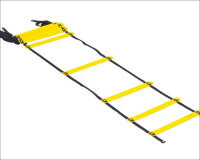 INDOOR AGILITY LADDER, 15' X 18"
Looking to take your workout literally to the next level? 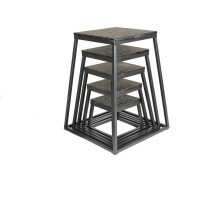 These Plyometric Boxes help increase your stamina through repetition of explosive exercises and height-challenging movements. 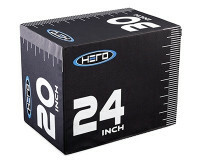 Measurements on box are shown in BOTH inches, and cm. 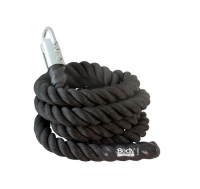 The Smart Stick makes exercise movements more productive, by aligning the body for balanced, optimal range of motion. 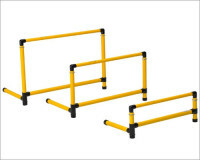 Sold individually, in Sets of 10, or in Bundles of 40 for use with PE classes and teams. Bundle of 40 includes Cart with locking wheels. 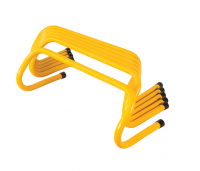 The Smart Hurdle Sets are designed with both athletes and coaches in mind. With 5 sizes to choose from, there's a perfect fit for every training session. 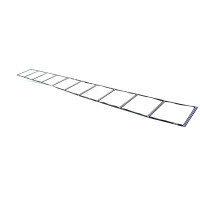 Smart Hurdles improve lateral drills, while helping storage problems disappear with the fold-flat support leg. The Smart Acceleration Ladder is designed to teach you to do one thing well: A C C E L E R A T E. Increasing space between initial rungs teaches athletes to combine fast turnover with short initial stride length for maxium speed. Easy to transport and store.